Instead of my traditional Lessons about Community from Science Fiction (video) talk, I decided to do something a little different for LinuxCon Japan. The slides from my Lessons about Community from Studio Ghibli talk are available now (with speaker notes) for my presentation on Wednesday. 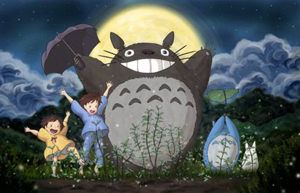 Communities are one of the defining attributes that shape every open source project, and the people within them are what make communities so special, not unlike how characters like Totoro, Kiki, and Ponyo shape every Studio Ghibli film. The friendship between Ponyo and Sōsuke shows how people from different backgrounds can work together, like people in communities work together, to accomplish more than they could have alone. While we don’t get to travel by catbus or Kiki’s broom, many of us have the opportunity to travel the world interacting with community members. Unfortunately, we have to rely on online participation combined with more traditional methods of transportation. This session focuses on community tips told through Studio Ghibli films. 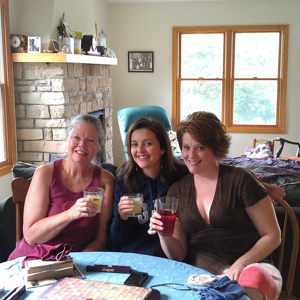 While the topic is fun and a little silly, the lessons about communities are real and tangible. You can visit my speaker page for links to many other presentations from past events, including video where available. If you think you’ve seen this presentation before, you’re wrong! In the spirit of making sure that every talk at Monki Gras is handcrafted and unique, I prepared a completely new set of slides and lessons just for Monki Gras. 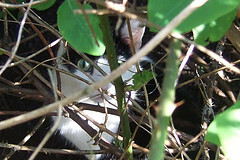 Borg assimilation and bringing new community members into your collective for new ideas. Specialization is for insects. The best community members are the ones who can help in a wide variety of ways. Community members are valuable, don’t treat them like minions. You can get the slides (with my speaker notes) on SlideShare. 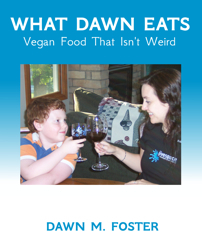 Note: Comments are disabled on this post, since I’m tired of dealing with spam, but please ping me on Twitter, @geekygirldawn, or at the email address in the presentation if you have any questions. First, a huge thank you to Crystal Beasley for encouraging me, and others, to get organized and write our nerd stories in the aftermath of the recent comments from Paul Graham. My parents got divorced a year or two later, and a few years after that we moved onto my step-dad’s farm. I was in 4th grade at the time, which I guess would make me about 9, and it was in a rural area where people just didn’t have any extra money lying around for luxuries. It was also the late 70’s / early 80’s when computers and related technology were pretty uncommon in most houses, since this was before the PC era and way before most people had any type of online access. Around this time, dad bought us an Atari 400 for Christmas. At the time, we didn’t know anyone else near where we lived who had a computer at home. 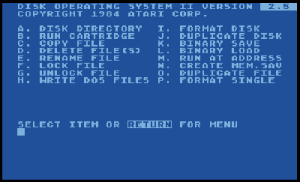 I eagerly started playing games (pirated copies on tapes that required a lot of patience to load), and I got my first taste of programming. As a side note, the Atari 400 had one of the worst keyboard designs ever, the membrane keyboard, which prevented accurate typing, and as a bonus, random keys would occasionally just stop working, but I stubbornly persisted. 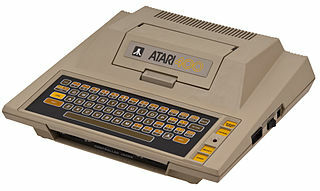 After seeing my interest in programming, Dad later upgraded us to the Atari 800. Keep in mind that this was before Windows and other modern user interfaces. There was no mouse and no point and click interface. The operating systems of the time were pretty limited, and programming was typically done in BASIC. Since we didn’t see our dad very often, and my mom and step-dad didn’t know anything about computers, I had to figure it out myself. I started by typing in programs from books or magazines (like Byte), and I began to make small changes just to see what else I could make it do. A lot of it was trial and error, but it didn’t take long for me to start writing new programs. When I went to college in 1989, I started as a math major with plans to teach high school math (my favorite subject in high school). I took an Introduction to Programming class (required for the math degree), which was a Pascal class taught on a VAX/VMS system. As part of the class, we each received a temporary email address (which was deleted at the end of the semester), and I used it to email my grandfather (the only person I knew outside of the university with an email address)! About 4 years later, I was almost done with my math degree (12 credits away from graduation – all I had to do was a semester of student teaching) when I realized that I didn’t want to teach (I’m not particularly good with kids). It was around 1993 and computers were getting a lot more attention. I remembered how much I enjoyed programming, so I changed my major to computer science. The computer science department at Kent State University was part of the math college, and it had a lot of math courses as part of the curriculum, so I was already most of the way there. Since I had taken so many of the required courses already, I was able to get through the computer science program in 3 or 4 semesters. By that time, the computer science department had moved to UNIX (mostly SunOS). I took assembly language programming, built a little operating system, wrote a compiler and took a variety of other computer classes, but my favorite was a UNIX system administration course taught by one of our university sys admins. This led to my very first job in 1995 as a UNIX system administrator for a manufacturing company in Ohio. Since then, I’ve done a little of everything: system administration, programming, project management, market research, people management, and much more. I’ve worked for companies ranging from tiny startups to huge companies, like Intel. I finally settled into a comfortable little niche of community management with a focus on technical communities and open source communities, and since community manager is a broad role, I get to dabble in all kinds of different things. It’s also one of those fields where every day is different, which suits me perfectly! Where I grew up, most of the people I knew worked on farms or in factories, and college degrees weren’t very common. I knew that I wanted to go to college, move to a city and be able to support myself. When I graduated and got that first tech job, I thought of it as a good job that would pay my bills. What I didn’t realize at the time, was that my computer science degree and the career that followed would completely change my life. I’ve traveled all over the world as a part of my job: China, South Korea, Brazil, and all over Europe. I’ve presented at more conferences than I can count: SXSW in Austin; OSCON in Portland; various LinuxCon events in Prague, New Orleans, Edinburgh, Barcelona, etc. ; FOSDEM in Brussels; and many more. Because I’ve been to so many conferences and have managed global open source communities, I can travel to most locations around the world and visit people that I know. I also have an amazing group of friends here in Portland, and I met most of them through the local technology community. I feel tremendously fortunate to have this opportunity to work in a field that I love while doing interesting things that a younger me could not have ever imagined would be part of my daily job. Do some programming – on your own, in a class, or as a technology major of some form. Try a few things, and find something you enjoy. Use internships as a way to try out a few companies / jobs, but get paid for them (do not take a free internship doing tech work)! It’s a great way to try out a job and a company with little risk, since they are usually a 3 month gig. If it goes well, and you enjoy it, your chances of getting hired by that company are good. Pick a topic you are interested in and speak about it at a conference. 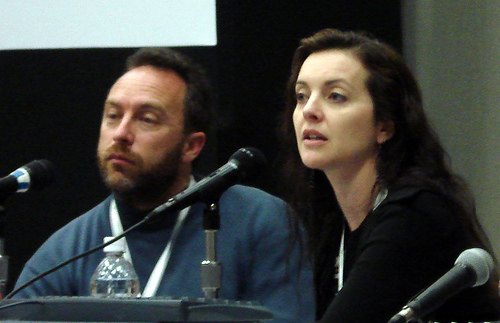 Most of my career opportunities are a result of speaking at conferences. Watch my recent presentation about building a successful technology career for other tips. So what now? Share this story and others on the social media platform of your choice, encourage other women to write their stories, or blog about your nerd origins and share it with the hashtag #mynerdstory. You can also check out the My Nerd Story Facebook page. At LinuxCon North America in New Orleans and at LinuxCon Europe in Edinburgh, I presented about “What Science Fiction Can Teach Us About Building Communities“. You can download or view the presentation from Edinburgh or get the original version from New Orleans. Communities are one of the defining attributes that shape every open source project, not unlike how Asimov’s 3 laws of robotics shape the behavior of robots and provide the checks and balances that help make sure that robots and community members continue to play nicely with others. 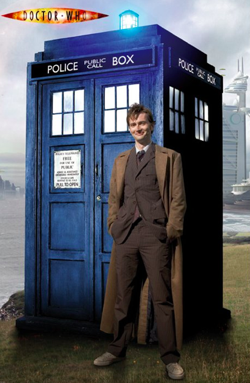 When looking at open source communities from the outside, they may seem small and well-defined until you realize that they seem much larger and complex on the inside, and they may even have a mind of their own, not unlike the TARDIS from Doctor Who. We can even learn how we should not behave in our communities by learning more about the Rules of Acquisition and doing the opposite of what a good Ferengi would do. My favorite rules to avoid include, “Greed is eternal”, ”You can always buy back a lost reputation” and “When in doubt, lie”. This session focuses on tips told through science fiction. Updated October 22, 2013: Added the Edinburgh information to this post, instead of creating a new post, since the version presented in Edinburgh contained only small changes from the New Orleans version. If you are looking for something to do on August 21 – 23, you should come hang out with me at PuppetConf in San Francisco. I can even give you $150 off the registration fee using the code “speaker150off”. While the main part of the conference is on August 22 and 23, we are hosting a Developer Day (free with conference pass) on Wednesday, August 21st where you can spend the day with our developers and other community members while building modules, contributing to open source projects, working on documentation and much more. You pick the projects you want to work on, and we’ll have plenty of people around to help. 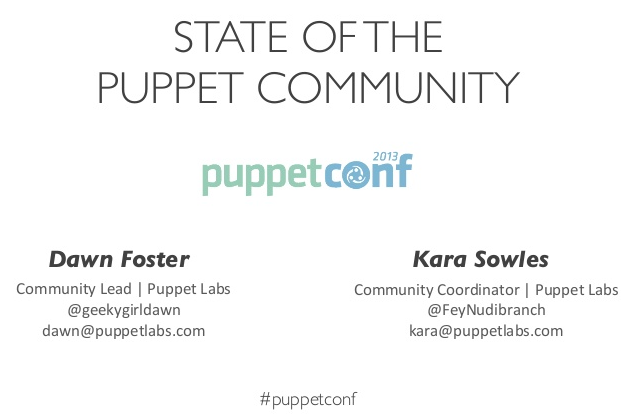 I’ll also be speaking at PuppetConf to talk about The Puppet Community: Current State and Future Plans on Friday at 1:10pm. This presentation kicks off a community track where we have several more sessions about how to participate in the Puppet Community. We also have many interesting sessions, plenty of other activities (5K, parties, games) and much more. I hope to see you there! Today, I’m giving a talk at the USENIX Women in Advanced Computing (WiAC) Summit about Building a Successful Technology Career. While the presentation is targeted at a female audience, I think that most of it applies to anyone working in technology careers. I’ve uploaded the presentation (with notes) if you want to read the materials, and I hear that it’s being recorded, so the recordings should appear on the USENIX site at some point after the event. Update 7/11/13: The audio and video files are now available on the WiAC website. Building a successful career involves way more than just doing the technical work that is your primary responsibility. 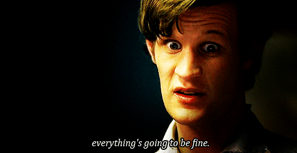 In this presentation, we’ll talk about the following topics: having a plan, but not letting it get in the way of serendipitous opportunities; applying for jobs when you don’t have all of the “required” skills; getting paid what you are worth; volunteering for additional assignments without letting people take advantage of you; and becoming known as an expert. Many of you probably know that I’ve spent the past week in Belgium for Puppet Camp Ghent and FOSDEM. 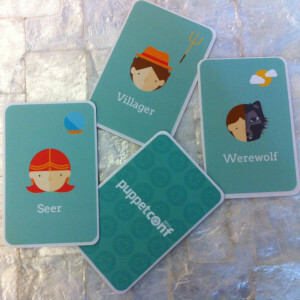 I’ll be writing a blog post on the Puppet Labs blog later this week to talk about Puppet Camp Ghent, but I wanted to at least get my presentations out here while I finished writing the longer post. Puppet Camp Ghent was amazing. I saw a few old friends and connected in person with quite a few community members that I had not yet met in person. Overall, I was very happy with the event, and the people at HoGent were great hosts. There were so many amazing presentations, and we’re getting them uploaded to the Puppet Camp page as soon as we get the slides from the speakers. 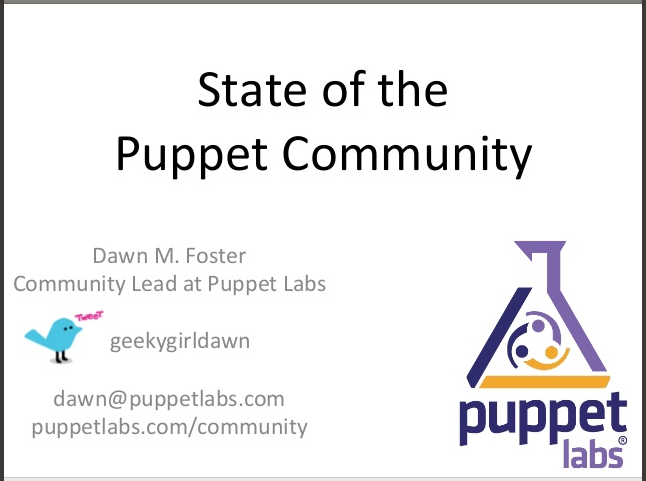 Here is the presentation that I delivered on the State of the Puppet Community. I had an amazing time at FOSDEM, too. I helped facilitate the Configuration / Systems Management DevRoom on Saturday along with a DevRoom dinner that evening. I love working in such a collaborative industry. The DevRoom and the dinner were organized collaboratively with our primary competitors, but we all worked together to pull it off in a way that benefited the industry. Aside from the DevRoom, I got to see a lot of old friends and had a great time! At FOSDEM, I also gave a short version of my Open Source Community Metrics talk. If you are interested in open source metrics, you might rather look at the longer version that I presented at LinuxCon Barcelona in November. I also had a great conversation from Jesus at Bitgeria, and they are doing some awesome stuff with open source community metrics that you should look at if you are interested in metrics. Next on my agenda are trips to Stockholm, Sweden and Oslo, Norway for two more Puppet Camps in the next two weeks before heading back home to Portland.